This is my favorite costume to date. I created it for our annual Halloween costume party at work. It took me over four hours to apply makeup and hair. 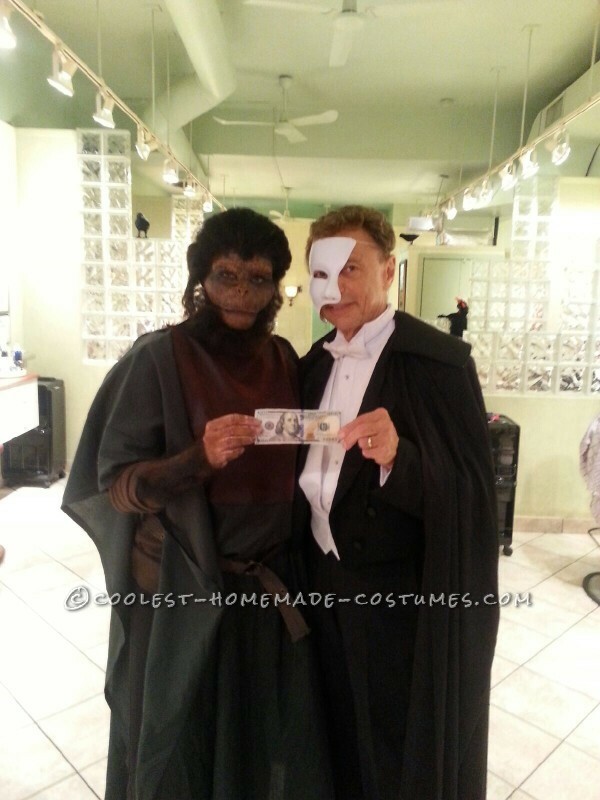 Every client who comes in votes for their favorite costume and you win $100. I have won the past four years being Dr. Seuss from the Cat in the Hat, the bald dancing guy from the Great Adventure commercials, Edward Scissorhands and a Marionette Doll. Halloween is one of my favorite holidays and I look forward to it all year long. 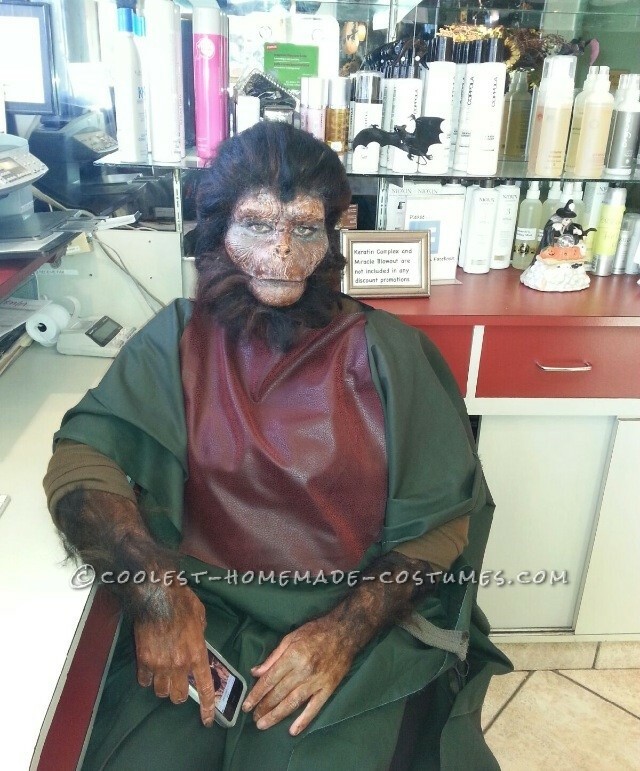 I work in a local hair salon and our clients love all my past costumes. Its challenging to create something better each year. 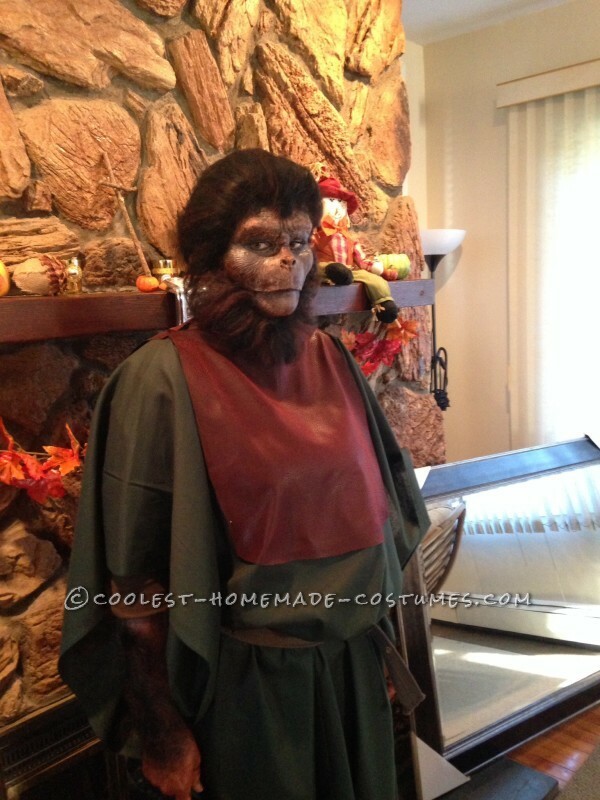 This year I decided on an Ape from the original movie Planet of the Apes. It took me countless hours , days , weeks to research the best way to accomplish this. I have stayed up many nights very late while delving into old videos of this movie , makeup tips and the best paint/makeup to use which in the end turned out to be sweat-proof, waterproof, smudge-proof, pretty much any thing proof. I had a ton of fun with this costume and the reactions I received while in costume, including scaring many people unintentionally. I took more pictures with people, strangers than ever before. All day and night I answered questions on how it was done and what I used and whether I was wearing a mask. People wanted to touch my arms, feel my face and ask me to make ape sounds which I found hysterical. Walking around CVS after work was very amusing. The cashier later told me I scared him and he thought I was going to rob them, lol. Because it took so much work and I knew would be extremely difficult to remove, I walked into random stores and past people on the streets nonchalantly to see what their reaction would be. My makeup lasted all day and night and half of it is still on one day later. It now looks like I have Vitiligo but it was well worth it. The question now is how to top this next year ! 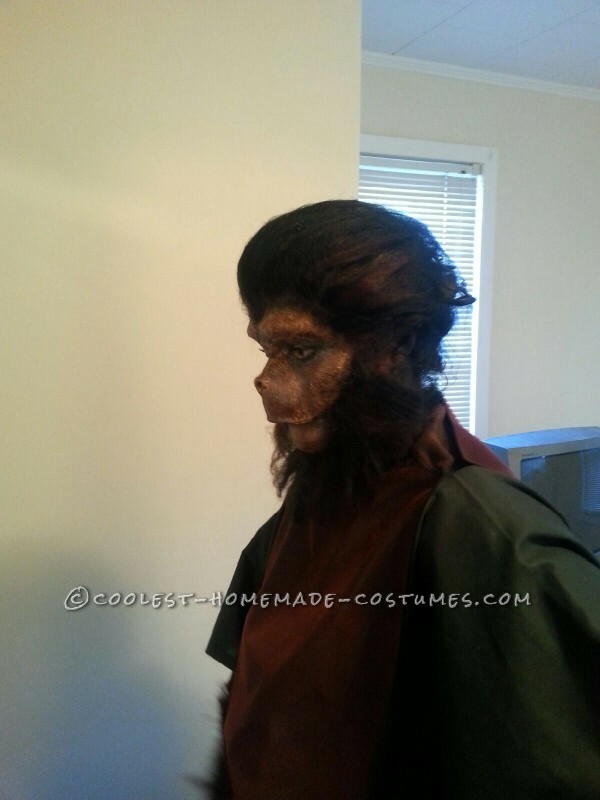 I used five packages of crepe hair to create the beard, arm hair and hair for my head. I combined three dark brown and two black to create a more natural look. I poured boiled water over it then let it dry over night. 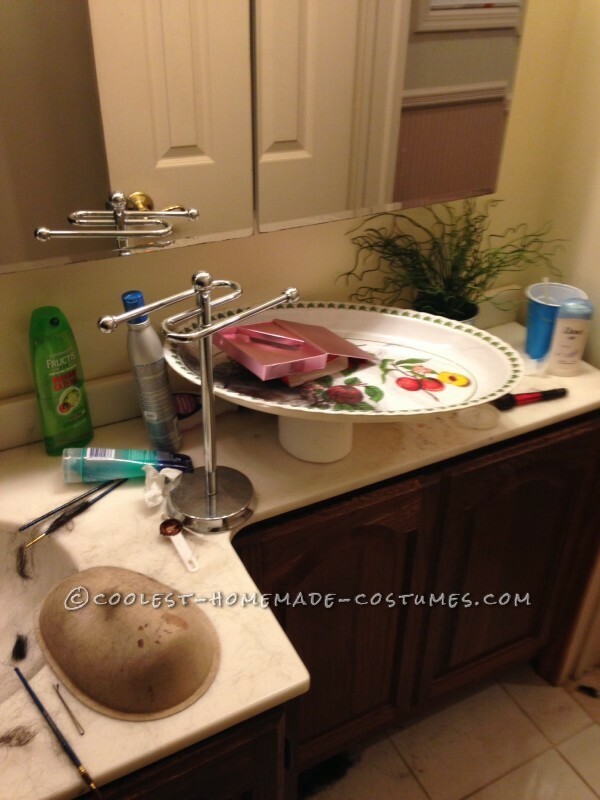 This method straightens the hair. You can also steam it with a handheld steamer which I did for two of them. Either method will do. 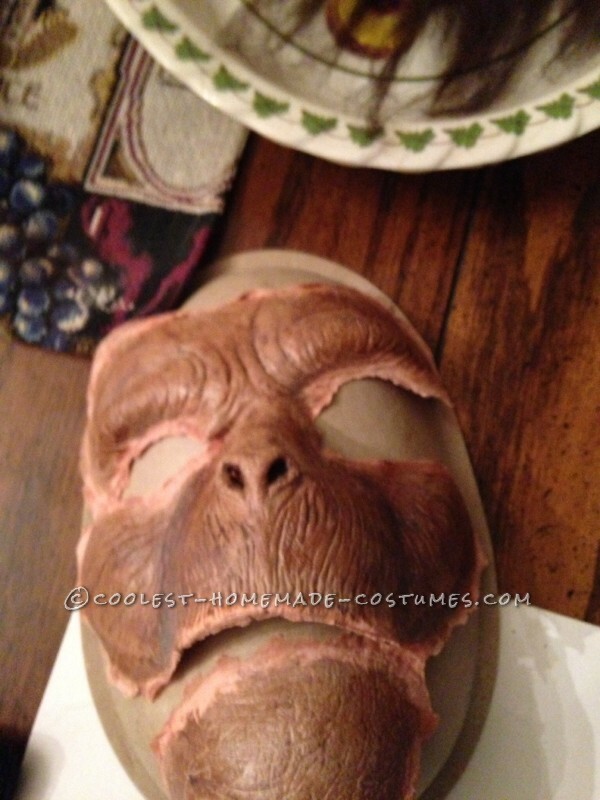 I bought a prosthetic face online and pre-painted it the night before . I coated it first with pros aid then two layers of pax paint . I made my own pax paint with pros aide and liquitex acrylic paint in a 1:1 ratio . Before securing this to my face I separated it into three parts. This makes it easier to apply; the eyebrows, chin and nose. 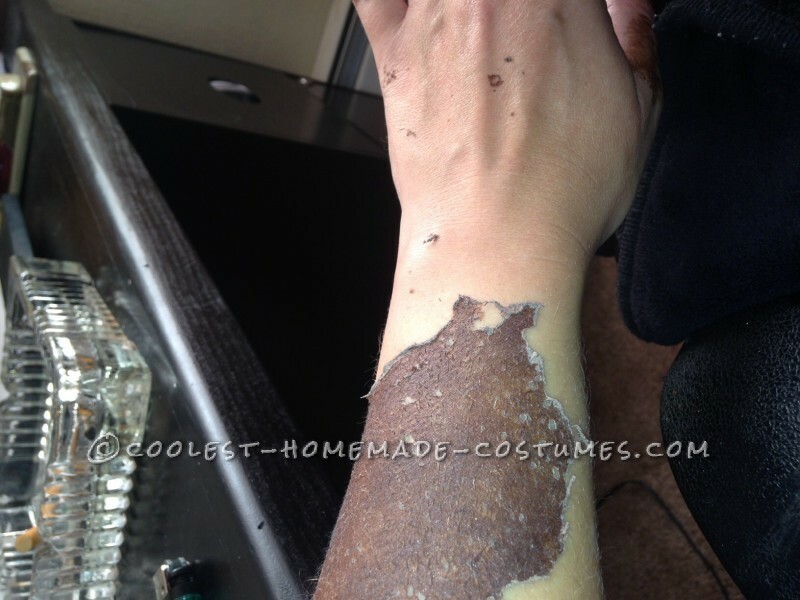 To blend the edges to make it seamless, I used many layers of liquid latex . I applied pax paint to my arms , chest , neck with pax paint. I made three different colors and kept them in individual containers. I did anywhere between 3-4 layers of paint . Pax paint must be powdered after it is dry because it is sticky and will be ruined. If the color is too dull you can use a damp sponge to brighten it I applied pros aide on each arm and attached small pieces of crepe hair. I attached my beard in many layers starting with my neck. This took the longest amount of time. I used longer pieces of crepe hair for my hairline so it would cover my own hair. I sprayed the back of my hair with black hairspray from cvs. 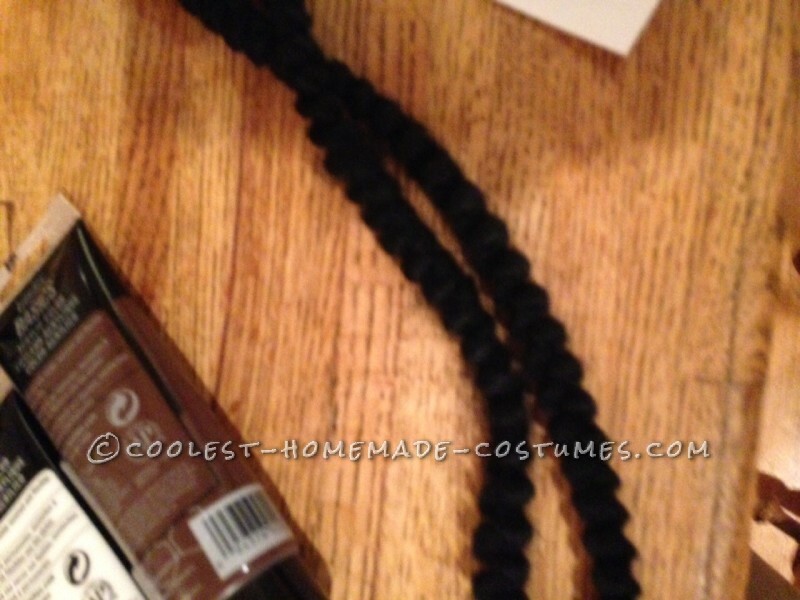 This was the easiest part of this costume. I bought some fabric and made an oversized poncho which reached my feet. I folded three yards of fabric in half and cut out a hole for my head (measure your head first) I then cut two holes partway down for my belt . I did this on the front and back. 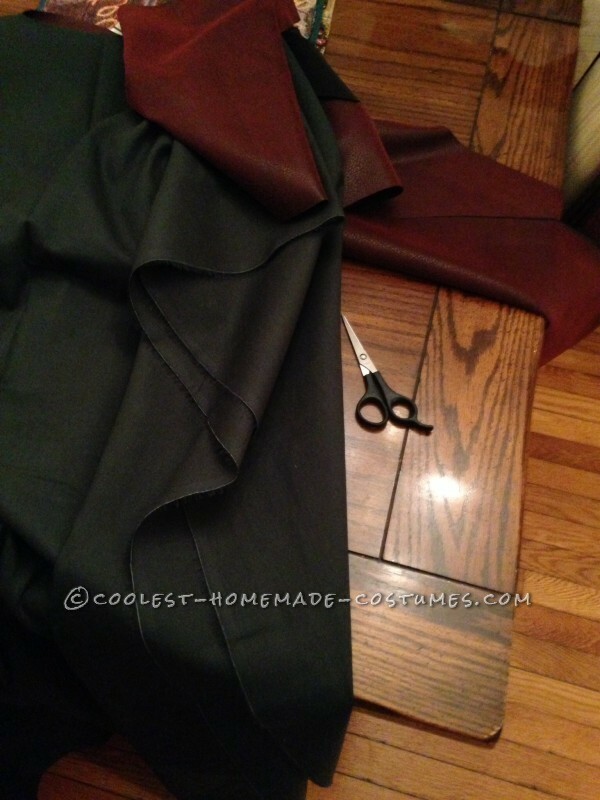 Then I cut out another piece of fabric (burgundy faux leather) and attached it to the front and back . Those who know me know I don’t sew. It just isn’t my thing. I attached the burgundy fabric with fusing web tape. You place it between the fabrics and hold and iron on it. I love this stuff! I used a canvas belt that was laying around and Voila!